Our First Appointment Is Free! I was sneaky to “announce” that our first appointment would be free. Posted only on the schedule page of the site, I wanted the person that would win a free tune to be someone that had browsed the site thoroughly and was really excited about OnPoint’s startup. Rodrigo Oliveira is that kind of guy, and what a car to be the first at OnPoint. Rodrigo’s Japanese imported 180sx reminds me very much of my first S13 that I enjoyed so recklessly in my high-school years. That was a car that brought all sorts of trouble, and only as a result of being stolen did my S14 “Sandra” ever come to be. 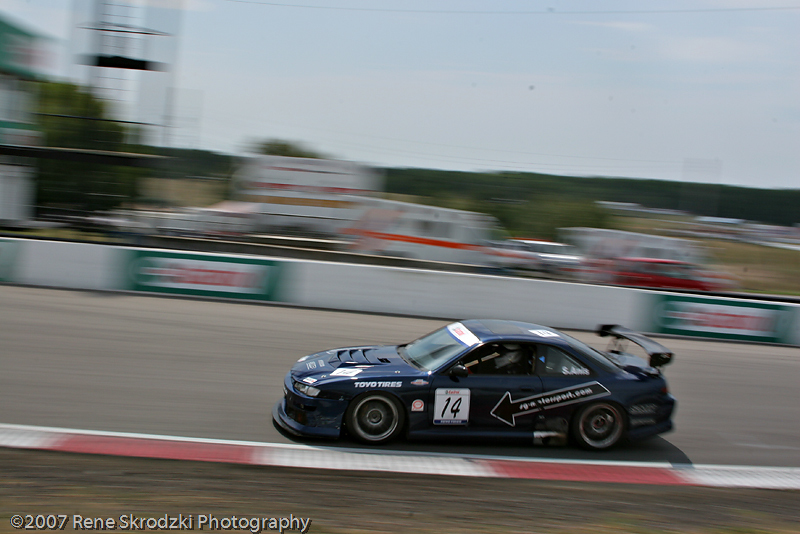 That S14 would go from being an impounded getaway car to the Canadian Touring Car’s first ever GT championship winning racecar. A shot of Rodrigo’s car. This picture looks like it’s straight out of Initial D! Sandra would go on to win the 2007 Canadian Touring Car Championship in its inaugural year. 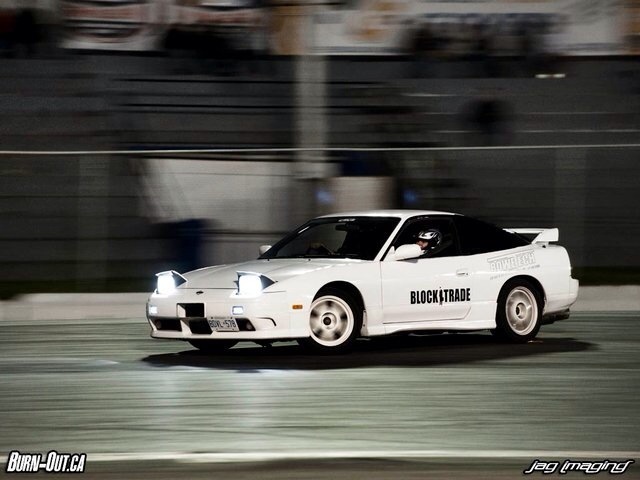 Rodrigo’s car was built by Rowetech, a team of guys who are no strangers to Nissans or S13s. 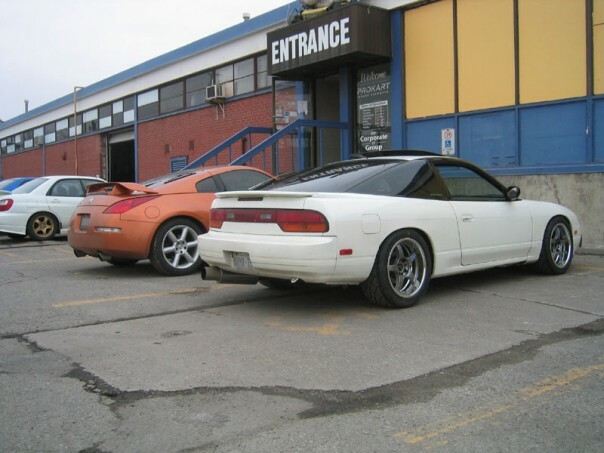 Infact, they had built two S13’s for competitive drifting, one of which Edmund Mannasan was supposed to drive. Unfortunately it turns out; Edmund is more interested in talking than he is in driving. (Don’t worry, Edmund knows we bring nothing but love). Other than being extremely clean and setting an example for most S-chassis owners out there, Rodrigo’s car is also well built and driven hard. 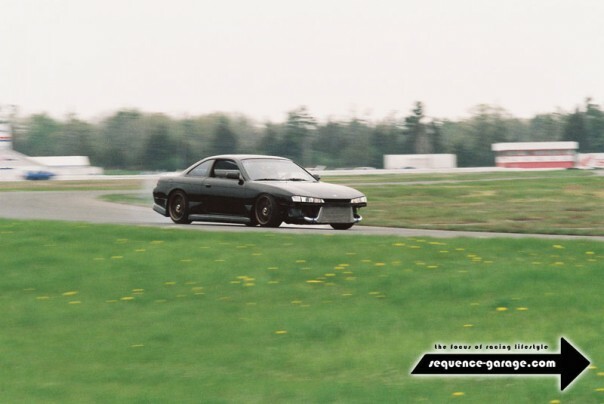 Rod takes his car out sliding to Shannonville among other tracks, and with the current setup the engine should make over 315whp – the sweet spot for stock block SR20s. Congratulations on the free tune Rodrigo, thanks for bringing back great memories with your clean white S13 – keeping it classy. I look forward to tuning your S13 at OnPoint’s first official appointment on the 4th of March. For the rest of you suckers that were too slow – sorry! Good luck next time!